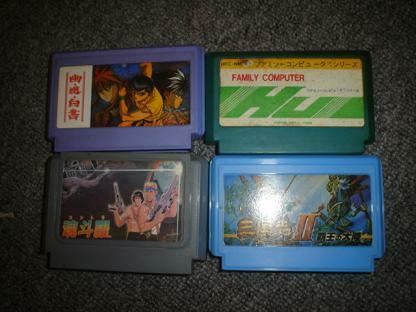 I received in the mail a bunch of Famicom carts. They were all enjoyable except for Toy Story which didn’t work although I knew it would not work anyways. The one that was the most playable was King Kong 2. That game is crazy! You use King Kong to destroy everything in your path.